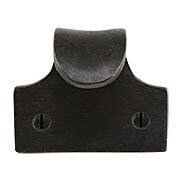 Our Square Sash Weight (3 lb.) 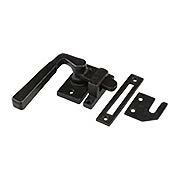 easily combines with other size weights to create the proper counterbalance for smooth operating windows. When stacked together for instance, one 3 lb. and two 1 lb. take up the same space as one 5 lb. while moving just as smoothly within the window pocket. Ideal for use on new construction or as replacements for damaged or lost items. 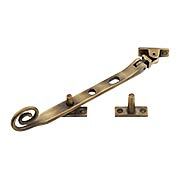 Our Solid Brass 11 1/2-Inch Casement Stay with Curly Handle in Antique-By-Hand is equally at home in Colonial, Tudor, or Spanish-style homes. The curled tail is delightfully decorative and practical as well, making it easy to grasp and lift. Extra thick and heavy-duty, it's a good choice for large windows. Forged in solid brass, it comes in our exclusive, living finish that ages gracefully over time into a beautiful natural patina. Our 9 1/2-Inch Casement Stay with Curly Handle in Antique-By-Hand is equally at home in Colonial, Tudor, or Spanish-style homes. The curled tail is delightfully decorative and practical as well, making it easy to grasp and lift. Extra thick and heavy-duty, it's a good choice for large windows. Forged in solid brass, it comes in our exclusive, living finish that ages gracefully over time into a beautiful natural patina. 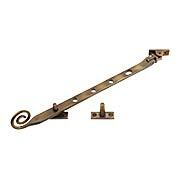 Our 11 1/2-Inch Casement Stay in Antique-By-Hand delivers smooth function and long-lasting wear. 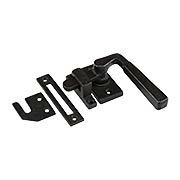 The handle is approximately 3/8" thick - ideal for large or heavy windows. It comes complete with two sill mounted keepers and holes for five opening positions. Forged in solid brass, it comes in our exclusive, living finish that ages gracefully over time into a beautiful natural patina. A great choice for Colonial, Tudor, or Spanish-style homes. 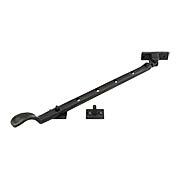 Our 9 1/2-Inch Casement Stay in Antique-By-Hand delivers smooth function and long-lasting wear. 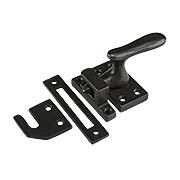 The handle is approximately 3/8" thick - ideal for large or heavy windows. It comes complete with two sill mounted keepers and holes for three opening positions. Forged in solid brass, it comes in our exclusive, living finish that ages gracefully over time into a beautiful natural patina. A great choice for Colonial, Tudor, or Spanish-style homes. 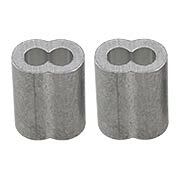 Pair of Aluminum Ferrules - 1/4"
When hanging sash weights for double-hung windows, our Ferrules (1/4-Inch) are used to secure a loop at the end of the sash cord. 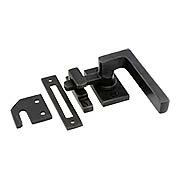 Ideal for cable-core cords, these sturdy fasteners enable the weights to stay in place. Made of solid aluminum, this version is designed for #8 cord. 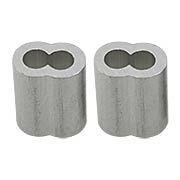 Pair of Aluminum Ferrules - 3/8"
When hanging sash weights for double-hung windows, our Ferrules (3/8-Inch) are used to secure a loop at the end of the sash cord. 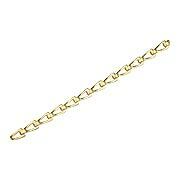 Ideal for cable-core cords, these sturdy fasteners enable the weights to stay in place. Made of solid aluminum, this version is designed for #12 cord. 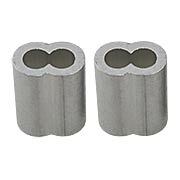 Pair of Aluminum Ferrules - 5/16"
When hanging sash weights for double-hung windows, our Ferrules (5/16-Inch) are used to secure a loop at the end of the sash cord. 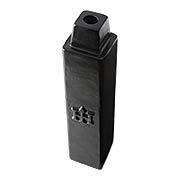 Ideal for cable-core cords, these sturdy fasteners enable the weights to stay in place. Made of solid aluminum, this version is designed for #10 cord. 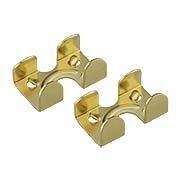 Pair of Brass-Plated Cord Clamps - 5/16"
When hanging sash weights for double-hung windows, our Brass-Plated Cord Clamps (5/16-Inch) are used to secure a loop at the end of the sash cord instead of a knot. These sturdy fasteners enable the weights to stay in place, while providing a cleaner look. Made of solid steel, this version is designed for #10 cord. 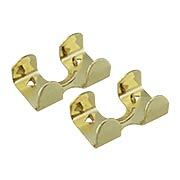 Pair of Brass-Plated Cord Clamps - 3/8"-1/2"
When hanging sash weights for double-hung windows, our Brass-Plated Cord Clamps (5/16-Inch) are used to secure a loop at the end of the sash cord instead of a knot. These sturdy fasteners enable the weights to stay in place, while providing a cleaner look. Made of solid steel, this version is designed for #12 cord. 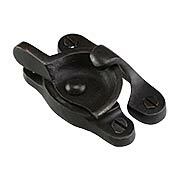 Cast-Iron Square Stackable Sash Weight - 5 lb. Our Square Sash Weight (5 lb.) 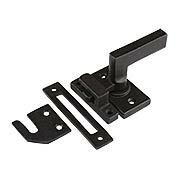 easily combines with other size weights to create the proper counterbalance for smooth operating windows. When stacked together for instance, one 3 lb. and two 1 lb. take up the same space as one 5 lb. while moving just as smoothly within the window pocket. Ideal for use on new construction or as replacements for damaged or lost items. 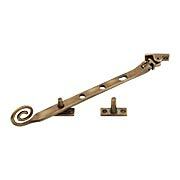 With a rustic, yet refined presence, our Solid-Bronze Sash Lift suits a variety of interiors. The hand-applied finish ages gracefully, with frequently touched areas exposing the natural shades of the bronze, while other areas oxidize further. The result? An elegant and timeless display of contrasting color variations. Handcrafted from the finest-quality materials, each piece has its own, unique character. 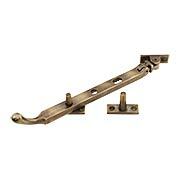 With a rustic, yet refined presence, our Solid-Bronze Sash Lock suits a variety of interiors. The hand-applied finish ages gracefully, with frequently touched areas exposing the natural shades of the bronze, while other areas oxidize further. The result? An elegant and timeless display of contrasting color variations. 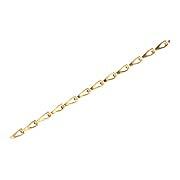 Handcrafted from the finest-quality materials, each piece has its own, unique character. With a rustic, yet refined presence, our Solid-Bronze L-Handle Casement Fastener (Left Hand) suits a variety of interiors. The hand-applied finish ages gracefully, with frequently touched areas exposing the natural shades of the bronze, while other areas oxidize further. The result? An elegant and timeless display of contrasting color variations. Handcrafted from the finest-quality materials, each piece has its own, unique character. With a rustic, yet refined presence, our Solid-Bronze L-Handle Casement Fastener (Right Hand) suits a variety of interiors. The hand-applied finish ages gracefully, with frequently touched areas exposing the natural shades of the bronze, while other areas oxidize further. The result? An elegant and timeless display of contrasting color variations. Handcrafted from the finest-quality materials, each piece has its own, unique character. With a rustic, yet refined presence, our Solid-Bronze Curved Casement Fastener suits a variety of interiors. The hand-applied finish ages gracefully, with frequently touched areas exposing the natural shades of the bronze, while other areas oxidize further. The result? An elegant and timeless display of contrasting color variations. 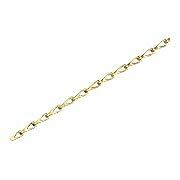 Handcrafted from the finest-quality materials, each piece has its own, unique character. With a rustic, yet refined presence, our Solid-Bronze Curved-Handle Casement Fastener (Left Hand) suits a variety of home styles. The hand-applied finish ages gracefully, with frequently touched areas exposing the natural shades of the bronze, while other areas oxidize further. The result? An elegant and timeless display of contrasting color variations. Handcrafted from the finest-quality materials, each piece has its own, unique character. With a rustic, yet refined presence, our Solid-Bronze Curved-Handle Casement Fastener (Right Hand) suits a variety of home styles. The hand-applied finish ages gracefully, with frequently touched areas exposing the natural shades of the bronze, while other areas oxidize further. The result? An elegant and timeless display of contrasting color variations. Handcrafted from the finest-quality materials, each piece has its own, unique character. 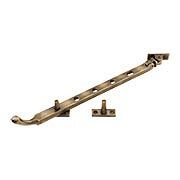 With a rustic, yet refined presence, our Solid-Bronze Straight Handle Casement Fastener suits a variety of home styles. The hand-applied finish ages gracefully, with frequently touched areas exposing the natural shades of the bronze, while other areas oxidize further. The result? An elegant and timeless display of contrasting color variations. Handcrafted from the finest-quality materials, each piece has its own, unique character. Solid-Bronze Casement Stay - 12 3/4"
With a rustic, yet refined presence, our Solid-Bronze Casement Stay (12 3/4-Inch) suits a variety of home styles. The hand-applied finish ages gracefully, with frequently touched areas exposing the natural shades of the bronze, while other areas oxidize further. The result? An elegant and timeless display of contrasting color variations. 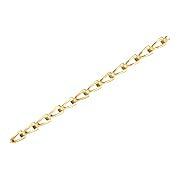 Handcrafted from the finest-quality materials, each piece has its own, unique character. 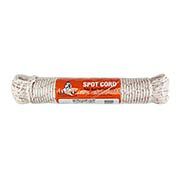 Our Premium Spot Number-8 Sash Cord is typically used for counterbalance systems on double-hung windows. Made of premium-quality cotton yarn, a nylon fiber core gives it added strength and durability with a coating that is chemical, weather and heat resistant. It is suited for use on new construction, or for updating a worn or damaged system. Our Number-10 Cotton Sash is typically used for counterbalance systems on double-hung windows. 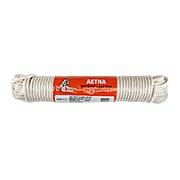 Made of quality cotton yarn, it features a polyester fiber core, giving it added strength and durability and an interlocked polished solid braid to resist rot, mildew,and wear. 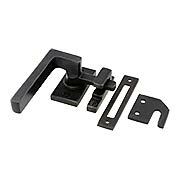 It is suited for use on new construction, or for updating a worn or damaged system. Our Number-12 Cotton Sash is typically used for counterbalance systems on double-hung windows. Made of quality cotton yarn, it features a polyester fiber core, giving it added strength and durability and an interlocked polished solid braid to resist rot, mildew,and wear. It is suited for use on new construction, or for updating a worn or damaged system. Our Number-8 Cotton Sash is typically used for counterbalance systems on double-hung windows. 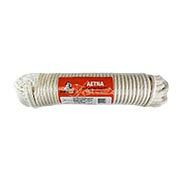 Made of quality cotton yarn, it features a polyester fiber core, giving it added strength and durability and an interlocked polished solid braid to resist rot, mildew,and wear. 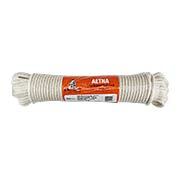 It is suited for use on new construction, or for updating a worn or damaged system.